Fifteen months after New Horizons’ historic Pluto flyby, the spacecraft has finally returned the last of the data it collected about the Pluto system. The last data set returned, which arrived at 5:48 a.m. EDT Oct. 25 via NASA’s Deep Space Network in Canberra, Australia, was part of a Pluto-Charon observation conducted by the Ralph/LEISA imager. More than 50 gigabits of data on the Pluto system were collected during the flyby and stored on New Horizons’ digital recorders. During the July 14, 2015, flyby, the spacecraft collected approximately 100 times more data than it could have returned before departing the dwarf planet system. While the top priority images and information were returned just before, during, and after closest approach, the majority remained stored in the spacecraft’s digital recorders. After the flyby, the spacecraft began the long, slow process of sending back all the remaining data with a downlink rate of just one to four kilobits per second. New Horizons operates on only two to 10 watts of electricity. This low level of power, a transmission time of 5 hours and 8 minutes at light speed, and the probe’s location more than 3.1 billion miles (5.0 billion kilometers) from Earth are the reasons for the slow rate of data return. Informal discussions about a follow-up orbiter and lander mission have already begun, though no formal proposals have been made. Previous planetary missions have yielded new discoveries years and even decades after they were conducted. Two planetary scientists just published a study claiming to have discovered two new, tiny moons of Uranus in data from the Voyager 2 flyby of the planet some 30 years ago. “This is what we came for – these images, spectra, and other data types that are going to help us understand the origin and the evolution of the Pluto system for the first time. We’re seeing that Pluto is a scientific wonderland. The images have been just magical. It’s breathtaking,” Stern said. 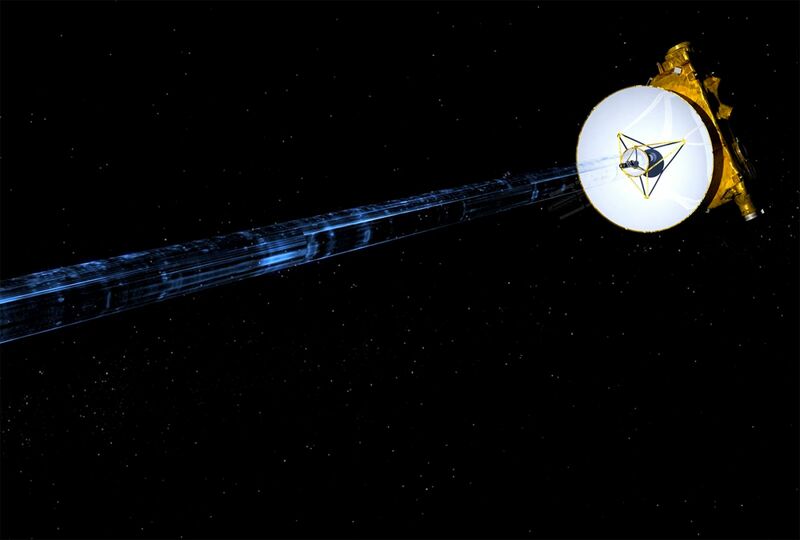 She noted a final data verification review of the two recorders on the spacecraft will be conducted before the data is deleted to make room for new information from the New Horizons Kuiper Belt Extended Mission (KEM) which involves a close flyby of Kuiper Belt Object 2014 MU69 on New Year’s Day 2019. 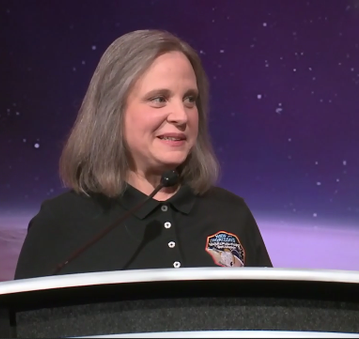 Bowman discussed her experiences managing operations for the spacecraft in an Oct. 29 talk at The Explorers Club Space Stories 2016 event in New York City. She brought a human perspective to the mission, talking about the many emotions the team experienced since the spacecraft’s 2006 launch. That included not only the thrill felt during the successful flyby but also the anxiety the mission team felt just 10 days earlier, when on July 4, 2015, the signal from the spacecraft was lost. The mission team had to consider the worst possible reasons for the loss of telemetry, including the possibility the spacecraft had been destroyed by an impacting rock. An alternative possibility was a computer shutdown. Hoping for the latter, the mission team wiped the spacecraft’s memory and rebooted its computers. This proved successful. The glitch resulted from the spacecraft’s computer having been given two sets of conflicting commands, causing it to shut down. Because three days were spent correcting the problem, the spacecraft was unable to take a planned portrait of the Solar System, looking back on all the planets between the Sun and Pluto. Analysis of New Horizons data has already resulted in new understanding of the Pluto system. A new revelation about the left side of Pluto’s iconic “heart” feature has resulted in the region being renamed to more accurately reflect its properties. Formerly known as Sputnik Planum, the west or left side of Pluto’s heart is now known as Sputnik Planitia. The term “planum” refers to an elevated plain while “planitia” refers to an indented one. Although mission scientists never thought the smooth, craterless region was elevated, they started naming features during the initial excitement of the flyby. Someone proposed “Sputnik Planum” after Earth’s first artificial satellite, Sputnik 1, launched by the former Soviet Union in 1957. Space missions and spacecraft were one category in “Our Pluto“, a public outreach campaign to generate names for features on Pluto and its moons. A list of the most popular names chosen by the public in several categories was submitted to the International Astronomical Union prior to the flyby. Sputnik Planitia is a basin created by an ancient impact of a large object with Pluto. Between 10 million and 100 million years old, it is currently a geologically active region filled with volatile ices that melt, or sublimate, at low temperatures. A Pluto globe created by Astronomy magazine with New Horizons images and data will feature the region as Sputnik Planitia. Amateur astronomer Steve Colyer attended Bowman’s talk at The Explorer’s Club and contributed to this article.